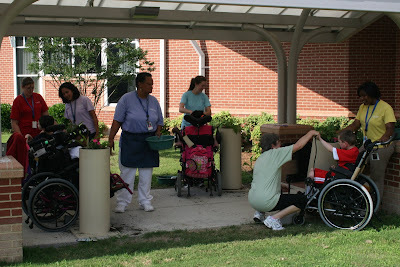 Some of the children set to work this afternoon to beautify the bus stop at St. Mary’s Home. 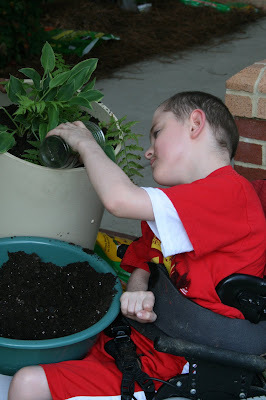 With help from members of the activities staff, the children planted flowers and greenery, using plastic cups to transfer potting soil from bowls to the plant stands. 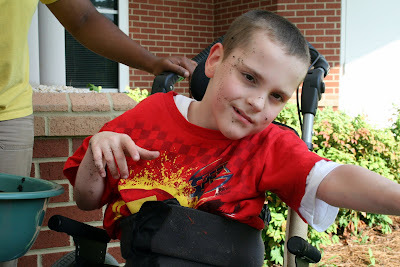 Afterward, some of the children, like Alex, were a bit dirty, but they all were happy.